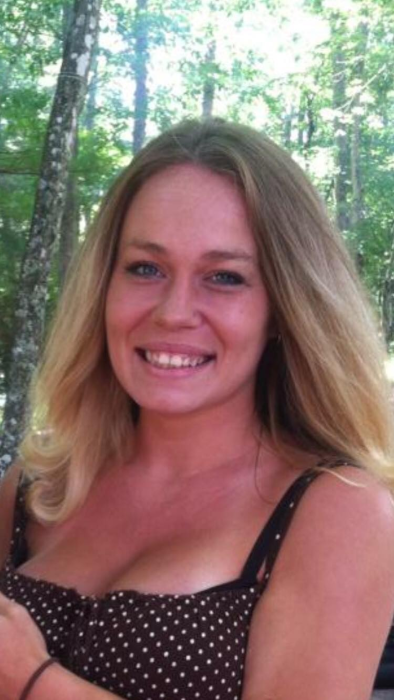 Meagan Ashton Reed, 28, of Hernshaw passed away August 2018. She was preceded in death by her loving father Donald G. Reed Jr., her cousins Caleb and Jessie Mullins. They are finally dancing in Heaven together. She is survived by her 3 sons Dalton (3), Waylan (1), Legend (2 months) Adkins, her lifelong partner Eddie Adkins Jr. of Seth, her mother Alice Cooper of Hernshaw, her sisters Dawn and Nikki Reed of Charleston; Grandmother, Audrey Cooper of Comfort, Grandmother, Berkey Reed of Charleston. Meagan was loved by many cousins, aunts, uncles, nieces and nephews. Meagan loved her family and friends. She was a gypsy at heart always loved the outdoors and traveling. Meagan was always creative she loved art and making crafts and playing with her babies. Meagan loved the mountains and loved to fish and go four wheeling. She was a stay at home mother and a goodhearted person. A memorial service will be held on Sunday, September 9, 2018. Gathering for friends and family will be at 2:00PM and services at 3:00 PM at Toney’s Branch Freewill Baptist Church in Bloomingrose WV. Tommy Newman will be officiating the service, Tiffany Muller will be singing. Lunch will be served at the church building after the service. Interment will be at a later date with immediate family. Armstrong Funeral Home Whitesville is serving the family.